Odds are, your Friends participate in Minnesota’s celebrated Give to the Max Day every fall. You probably also know about – even if you don’t fundraise around – National Friends of Libraries Week. And, if you are keyed into the giving landscape, you may also be familiar with Giving Tuesday. All three are excellent opportunities for Friends of the Library to marshal grassroots enthusiasm and needed funds for their local library. Unfortunately for us, all three “holidays” are clustered in the span of just one month late in the year – a potential recipe for donor fatigue. Fortunately, there is a new kid on the block: Library Giving Day. Celebrated in April (in this case, Wednesday, April 10) in conjunction with National Libraries Week, Library Giving Day is a tailor-made and well-timed spring counterweight to Give to the Max Day in November. Currently in its pilot season, Library Giving Day is the brainchild of the nationally reputed Seattle Public Library Foundation. Its stated purpose is right there in the name: to stoke increased visibility for and private donations to library- related causes, via parallel efforts in all corners of the country. As a means to this end, the organizers have helpfully prepared an online toolkit chock full of Library Giving Day- branded materials to get you started. These include flyer, press release, and solicitation letter templates – plus a host of logos and suggested social media post verbiage. 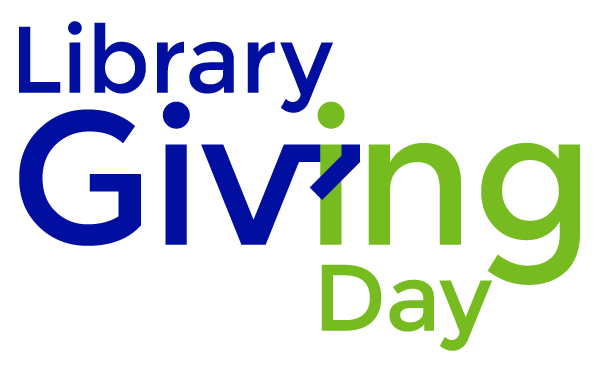 If you choose to participate in Library Giving Day, regardless of the forms your efforts take, please do two things to both boost your efforts and help event organizers gauge participation in this pilot year. Register your library and Friends in Library Giving Day’s searchable database, so that prospective donors can more easily find you. Tag all of your posts on Facebook, Twitter and Instagram with #LibraryGivingDay. On the fence about taking part? Watch this archived webinar.